If you haven’t ever used the switch blade, then you are seriously missing out. With just the press of a button, the switch blade will change the size and shape of the wake, making it way easier to switch between sports like wake surfing, wakeboarding, and wake skating. For wakeboarding, the switch blade will kick up a nice lippy wake and, while surfing, the blade scoops the water into a perfect curl. TK Watersports takes pride in our ability to work with all levels, especially riders trying to get up for the first time. Before you can start doing crazy tricks you need to get out of the water and learn some basics. Getting out of the water is harder for some than for others. It takes some skill on the driver’s part to get a new rider on his or her feet. I have seem some gifted riders get up on there first try but those are few and far between. Its quite possible it may take many tries but once you get up a few times you get the hang of it. Catching Some AirYour lift comes from a combination of rope speed (accumulated as a result of building up rope tension) and upward momentum from the wake. Think of a wake jump not as jump but more of a ramping action. You are using the wake as a jump. 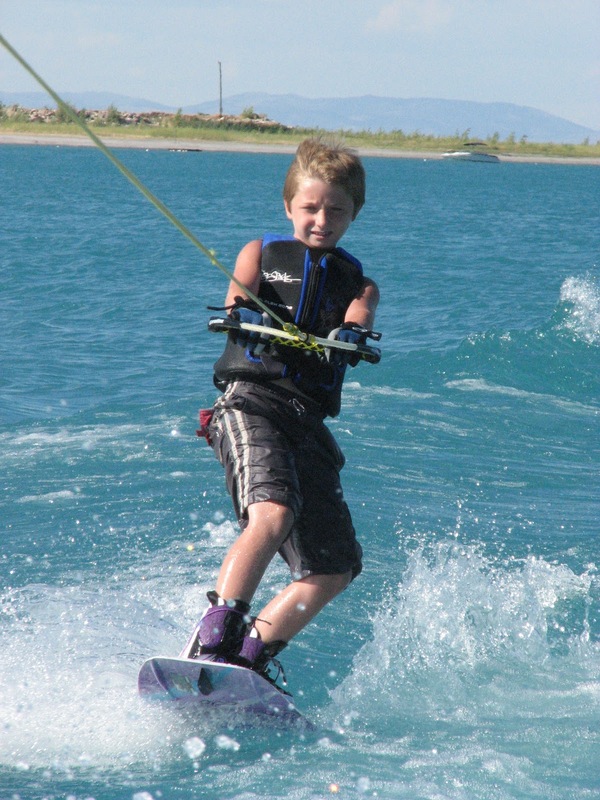 For your first few jumps, start just ten or fifteen feet outside the wake on your toe side. Cut towards the wake progressively putting more weight on your heels. When you get there, stand up tall. Don't lift your knees up or try to "jump." Just extend your knees and stand tall. If you're not getting the desired results, you need to wait longer. Many people stand up too soon or stop cutting before they reach the wake. This kills all of the momentum you've built up and leads to marginal jumps. Cut until the top of the wake, then stand tall.